Recreational land is different than other land types. Its success isn’t measured in crops, but on the quality of the time spent on the land. Whether you buy recreational land as a hideaway for generations to enjoy or to create a lucrative hunting spot, recreational land does have some unique barriers to achieving success. Since this land type isn’t talked about as much as residential or farmland, we wanted to dedicate a blog post to commonly asked questions about recreational land. As the name suggests, recreational land is land that is used for recreation. The types of recreation can vary – hunting, fishing, camping, ATV-ing, and more. 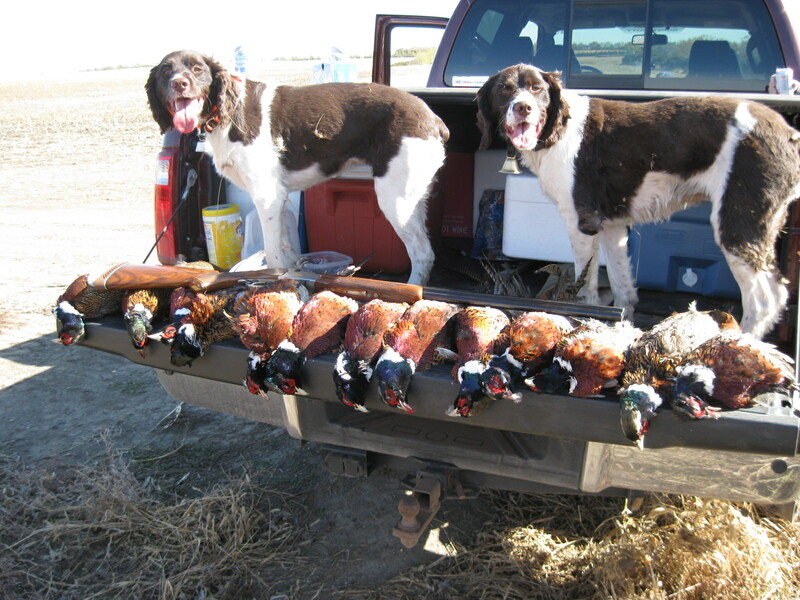 In the industry, hunting is one of the most popular and well-recognized uses for recreational land. What should I look for when buying recreational land? Knowing what zoning regulations and restrictions impact a property is one of the most important things to look for. These regulations can impact everything from buildability to what you are allowed to hunt. Work with a land expert in your area who can help you find a property zoned right for your intended use. If you want to use the land for hunting, keep an eye out for animals and things animals like. Food plots, a good source of water, and cover for animals to feel safe in is key for attracting game to your land. Good neighbors can also make or break a recreational property. If the property is part of a managed neighborhood, that’s a great sign that they are dedicated to helping everyone in that community and their land to thrive. Bad neighbors (for example, poachers, people who make noises that scare animals or disturb the natural peace, or people that dump waste into the river) can ruin an otherwise perfect property. What are the benefits of buying recreational land? How you benefit from the land is up to you. You could let other people enjoy the property and its amenities for a fee. You could improve the land and sell it for a profit down the road. You can also use it for your friends and family as a retreat from the rest of the world. If kept in good shape, recreational land can be something passed down for generations that will only increase in value. How can I add value to my recreational land? There are dozens of ways to add value to your recreational land. In his guest post for RLI, Bob Stalberger, ALC, suggests adding trail cameras as a cheap and effective way to add value. Recreational land is so much more than just another land type. It can be a family heirloom passed down from generation to generation, a profitable business, or just a place to get away from the rest of the world. Interested in owning a piece of your recreational land? Make sure to find a land consultant that has the expertise required to conduct these types of transactions. My days are spent working with buyers and sellers of recreational and tillable land. So when I was approached about writing an article about recreational land it was a no-brainer. My fellow Minnesota agents and I do seminars every year at our state’s Deer Classic and the topic is “Land Buying & Selling 101”. During each seminar, we do a Q&A and we typically find many of the questions are about building equity in a current property or future property. Although I live and work in MN, this information will hold true for many recreational properties and almost any place whitetail deer call home. In my opinion, the cheapest and most effective thing you can do to grow equity and value to your property is purchasing some trail cameras. Buyers are always asking me to see trail camera photos from the property for sale. When we check the analytics of our listings, it is proven that a listing with good trail camera photos vastly outperforms a listing without them. In addition, I personally advise my new buyers to go buy a thumb drive and save trail camera photos from day one, even if they have no plans of ever selling. It is great to be able to show a buyer 2-10 years of trail camera photos and allow them to see the quality and quantities of deer using the property. The next low cost and high return item would be “road appeal”. Much like curb appeal on a house, that first impression of a property will have a lasting effect. Start at the entrance of property; even if your property is not completely fenced, installing a simple yet sturdy gate that is lockable with a chain and adding a “no trespassing” sign, will add appeal for a buyer. This low-cost item gives buyers a good sense of security and sets the tone of what they are going to see when viewing your property. If you have spent any time on a farm you know there is a good chance of coming across an old junk site. Removing these items can be time-consuming but in the long run, it will be build value in your property and make it more marketable when it comes time to sell. Clean up any trails you have on the property so when touring the property it is easy to navigate. A property that is mainly used for whitetail deer hunting in a managed neighborhood is highly sought after. Creating a so-called managed neighborhood will take a great deal of work as well as time but will give you an abundant return. I’m not going to discuss how a so-called management group should be run as that is an entire article in itself. Ideally, you want your property to be in the center of this management group. Reaching out to all the neighboring landowners of your property is where you start. Once you get them on board with a management plan ask them to reach out to their neighbors and so on and eventually you will have a large area of landowners all working towards the same management goals. Sounds easy, but I can tell you it is not. This will take a lot of time and you will most likely have some people that will not want to participate and that is ok. The goal is to try to get as many on board as possible and work on growing the group. This typically will take years, but keep in mind the value you are adding to your property. The next few items are more labor-intensive and cost more money to complete and maintain. If you watch any hunting show or spend any time around an avid hunter you know that food plots are a huge factor when it comes to hunting whitetail deer these days. Just remember when it comes to food plots bigger isn’t always better. Making sure you locate the food plot to maximize the hunting and access on the property is more important than the size of the plot. Having several well-placed food plots and keeping them maintained every year will be not only be a great increase in value, it will also help make memories when hunting season comes around. In my opinion even more important than a food plot is water on a property. Not all properties will have flowing water on them. Even those that do may not have the water in ideal locations for hunting. If your property is lacking a water source I personally would add this feature before I would add a food plot. This can be as extravagant as hiring an excavator to install a pond in a location for natural run off to hold water or as simple as taking a 55-gallon drum and cutting it in half and digging it in the ground. I personally use a product made by a local company that holds 100 gallons of water and has a trough for the water to sit in and allows all kinds of wildlife to drink from it. I have 5 of these on my property and they are all located in great travel and staging areas I hunt. I do have to fill them a few times a year but since they are mobile they give me the option to relocate them. Since they are portable I can make location changes based off of my hunting observations. I can’t do that with a pond made by an excavator. A good trail network will allow you access in and around a property. The extent of the trail network needed will depend on the topography and makeup of the land. I personally deal with the rolling bluffs of Southeast Minnesota so creating access from the bottom to the top is almost a must if you want to get the most for your property. Most landowners do not own excavating equipment so I highly suggest asking around to find out who others have worked within the area to do such projects. It is in your best interest to do your research and get references prior to hiring someone. A quality bulldozer operator can accomplish a lot in a short time. Most first time buyers are nervous about what it will cost to create a good trail network. I have even encouraged sellers in the past to invest in a trail network as it I knew it would make their property more marketable and they would see the return on their investment. Hunters from Minnesota we are used to hunting in extremely cold weather. In my opinion, the old saying “you’re not a real hunter if you sit inside a blind” has gone out the window in the last decade. Box blinds are here to stay and the more hunters that hunt out of them the more buyers want them on their property. As an example, our state’s Deer Classic event this year included at least 7 different manufacturers of enclosed deer stands. If a manufactured stand is not in your budget you can also build it out of lumber, just make sure it is clean, sturdy and safe. From there adding quality sturdy ladder or hang-on stands will also increase your property value. Stands are something every hunter wants and if you have created a great location for them and they’re of good quality you will always get your money back out of them plus you get to enjoy them while you own the property. “Has this property been surveyed?” is almost always asked when I’m showing a potential buyer a property. In my territory, the land is not flat and often times you can’t see from one corner to another. Spending the money to hire a professional surveyor to mark your property boundary corners as well as points between the corners will make a buyer more comfortable when purchasing your property. It also allows you to easily establish or maintain your property line. This can also be helpful when doing any logging, adding a trial system, food plots, water locations or even hanging stands and posting your property. With anything, I would suggest getting a few quotes on this project and asking around on who someone would recommend. If you are not in a time crunch to get this done I would recommend asking the surveyors what time of the year they are least busy as they may give you a better price during their slow time versus their peak time. In my area, the downtime is during the winter. These next three improvements are much more expensive but can add some serious value to your property. They are not going to be good for all buyers and will require more thought than the previous improvements I have mentioned. These three items, in no particular order, are 1) adding a driveway, 2) bringing in power and 3) drilling a well. A couple questions you need to ask yourself or your group of owners are “Will this improvement be something almost all future owners of this property see value in?” and “Could it be any cheaper to do it later versus now?” Adding a driveway that is easy to travel won’t get cheaper with time and will always make the property more enjoyable and user-friendly. Bringing power to the property will also be worth your investment. This can become costly if you are having the power brought in a significant distance. However, I have talked with clients that had power brought to their property for almost free and I have met clients where it was going to cost them $10,000 or more to get power to their property. So this one can get tricky, if the cost to bring power to the property is extremely high and you are not going to use it for a length of time it might not be an investment you will want to add to your property. The last of the three items, drilling a well can vary in cost all over the country. Personally, I know the cost is pretty significant in Southeast Minnesota. However, when I tell a buyer there is a well on the property they all understand what cost went into it and they see the value. I do not see the cost of these three items getting any cheaper by waiting. Now we are going to talk about the biggest decision that can add value but at the same time affect the marketability to the greatest number of future buyers of your property. I get people all the time that ask if they will get their money back out of a cabin if they built one. My advice is to keep it simple, yet clean and functional, don’t get elaborate or install high-end finishes if you want to make sure you get your money back out of it. It is best not to overbuild as it will limit future potential buyers. As soon as you make a cabin or house addition to a property you immediately take some future buyers off the table. The goal is to not eliminate too many of the remaining buyers by building something that is either too personal or elaborate that it would shrink your potential buyer pool so small you will not see your return on your investment. Don’t get me wrong if you want to build a custom log home on your reactional land and you enjoy it for 20+ years, go for it. You will get your return out of the use and enjoyment. If you have a short-term plan for the property then stick to something simple. As you can see there are many different ways you can increase the equity in your recreational land. These improvements may take years or even decades and can vary drastically in cost but they are all great ways to increase the equity value of your property while enjoying it. I will leave you with the one thing I always ask while giving my seminars. “In a show of hands how many of you have ever made any memories on your 401k or stocks or bonds?” No one has ever raised their hands, but I can promise you every single landowner in America has made memories on a piece of land they have invested in. Owning land is one of the best financial investments you can make in your lifetime and the memories you make on it while you own it will be your favorite return on investment. About the Author: Bob Stalberger, ALC is the Land Specialist in Southeast MN for Whitetail Properties Real Estate. Stalberger is the Realtors Land Institute Minnesota Chapter President and a recipient of the Apex Awards 2017 Top Twenty Producer. Bob specializes in selling hunting and farmland and has been an ALC since 2016. Please use care with all firearms and be aware of your surroundings. Hunt and fish with a partner or let someone know where you will be going and when you plan to return. Stay hydrated and take steps to ensure you don’t get lost in the field. Simple essential survival gear can save lives. Please take the time to pack these items. The same goes for our canine friends as pictured above. Make sure you have plenty of water, don’t hunt in extreme heat, and carry an emergency kit for wounds. A successful outing is more about enjoying the great outdoors and returning home safely than shooting or catching a limit. Please enjoy our hunting seasons safely, respectfully, and carefully. For those who do not hunt or fish, but plan to take advantage of the outdoors this time of year, please remember to wear orange reflective gear. It’s a good idea to outfit your pet with orange as well. There are firearm seasons open on and off for the rest of the year, so please take precautions when hiking even where you don’t expect hunting to occur. There isn’t a better season in the Upper Peninsula to get outdoors and enjoy what lies at our doorstep. If you can tie in a trip to look at real estate, all the better. We’ll certainly be out there and hope you can join us.